The title may be indicative of one aspect of the content, but Snapshot is a novel that really does transport you right into the thick of it, into what feels like a war-torn Glasgow. Robertson’s Random – a novel with a very interesting twist – made it onto the CWA John Creasey (New Blood) Dagger shortlist last year and one of its characters – DS Rachel Narey – features in Snapshot. With another take on the police procedural/thriller, Snapshot’s main protagonist is Tony Winter, a civilian scene of crime photographer for the police; and it is mainly through his eyes that we experience the unfolding of the story. A rather grumpy team is forced out on a Sunday morning when a young man is found stabbed at a market. It’s only September, but this makes fatal stabbing number forty-six for Glasgow and the victim is a foot soldier for one its main drug dealers. No sooner than DI Addison achieves some respite over his bacon rolls than he is called to another crime scene. This time a prostitute has been found strangled. Later in the afternoon, Tony Winter is at the Glasgow Royal to take evidence photographs of a beaten up boy. By Tuesday, a sniper has shot one of the main drug dealers in the centre of Glasgow and it doesn’t stop there. Snapshot is a fabulously gripping read where you find yourself in the same shoes as the police, wondering what on earth is going on. It depicts a very real Glasgow, one that is clearly loved by the author, even if not shown in its best light. All (the living) characters are memorable, have depth to various satisfying degrees, quirks, foibles and are capable of humour – often the black humour you find in this world. Winter is an intriguing character. We know he has a tragic past but we do not know what it is. We know his interest in taking photographs of the dead surpasses the technical. He displays an ambition to be the next Enrique Metinides, but his interest is even more than that and it is sometimes uncomfortable. Snapshot also slowly reveals the hidden Winter for us to achieve an understanding of him. The underlying theme with Snapshot is to ask how much we care when criminals become victims and it exposes the complexities of both sides of the coin, with one of the cases in the novel proving to be a real gut-wrenching experience when solved (and not as might be anticipated). 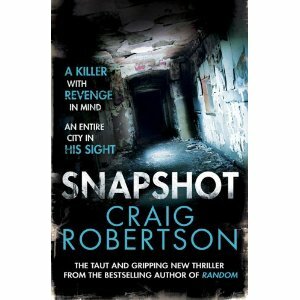 Snapshot is a page-turning package of some depth and not to be missed if you appreciate a gritty thriller. I will leave you with one of the moments of humour. Available now in PB at Waterstone’s and Amazon UK (you’ll need to click through on the link for the ebook). I couldn’t finish this one – I found it too dark and gritty. I know that’s an essential part of crime noir, but I couldn’t come to grips with Winter’s obsession with photographing the dead and I found it too morbid to see the storyline through his eyes. Winter started out as quite uncomfortable for me, but when the explanation came it was worth it. 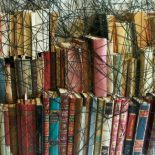 We all have different tastes and there are certain things I’d never read in a million years. This looks interesting, Rhian. An author I’ve passed on the shelf en route to Robinson or Rankin, but I’ll try this as I think Glasgow is a fascinating, often overlooked city. I spent time with SOC and you certainly get to see a different side of life. Too easy to say that Glasgow is a character itself in this. It feels more like the very fabric on which the novel is built. This entry was posted on August 21, 2011 by crimeficreader in Books.